The biggest rental home cleanout mistakes can really be costly. So, that’s the last thing you want to do to yourself, even if it’s accidental. It’s always best to become educated about a topic before getting into it. Even if you’ve done this in the past, you should still exercise caution. 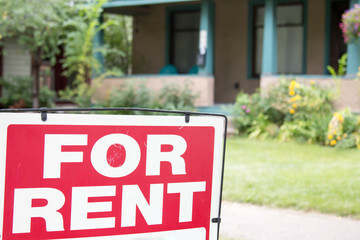 When a tenant vacates a rental property, it’s an opportunity to make some key improvements to raise the rent rate to market prices. It’s also something you need to do quickly so you can fill the vacancy. Plus, it will put the onus on the tenant to keep the house in good shape. But, this all depends on getting it rented out as fast as possible. To do that, you’ll need to bring in a rental home cleanout service. This will save you a lot of time. Not to mention, doing so will save you plenty of effort. Also, you won’t have to deal with sorting junk out between what goes to the landfill and what needs recycling. And, it allows you to focus on what’s truly important. Tossing personal possessions. Whatever you do, do not make the mistake of throwing out the last tenant’s personal possessions. It’s an unnecessary invitation to a world of trouble. Usually, it’s illegal and at the very least, a problematic scenario. Foregoing documenting the condition. As soon as the tenant vacates the property, you should immediately take the time to document its condition. This way, you’ll know if you need to keep the deposit for repair costs. Showing the place before it’s actually ready. Never show any property unless it is totally ready to show. Period. It’s just not helpful and it will likely do more harm than good, in the end. When you need a rental home cleanout done, just phone 800-433-1094 or visit Junk Garbage Removal.